Hacking for a Better World! 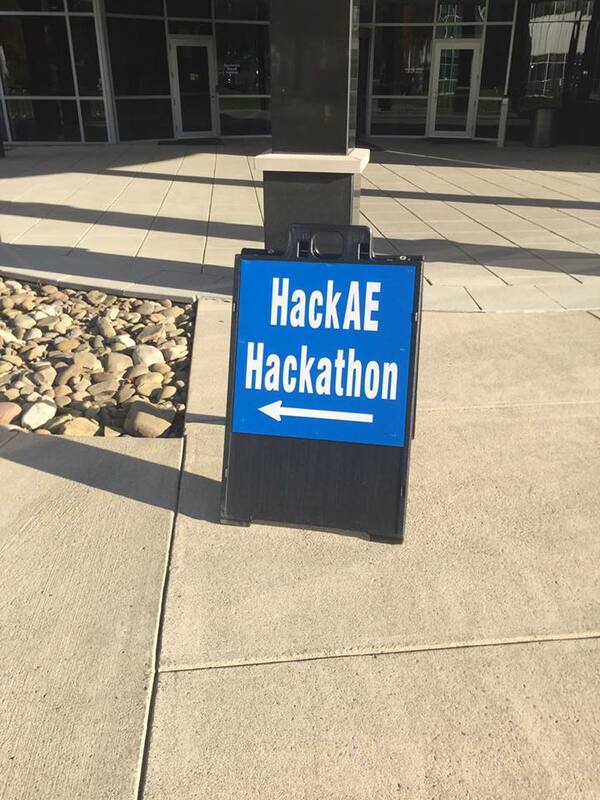 Hack AE was a 24-hour civic hackathon designed to bring America East undergraduate students together, to build software and hardware projects that encourage civic engagement and/or address the real-world challenges facing our neighborhoods, cities, states and country. This event was managed by Juliette Kenny, Executive Director, Academic Consortium. 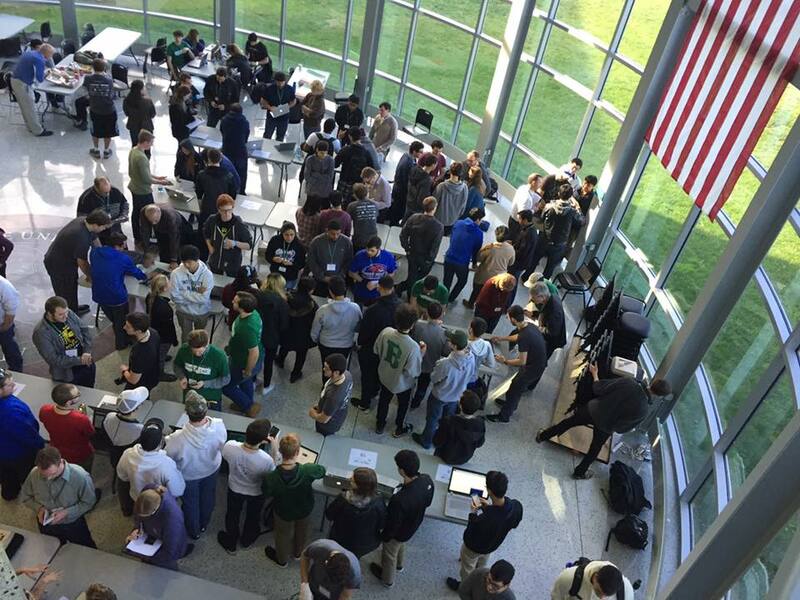 This Hackathon took place from November 5-6 at Binghamton University’s Innovative Technologies Complex, located in Vestal, NY. Holly Butler, DifferenceMaker Director, joined 18 UMass Lowell students (with just 3 having been to a Hackathon before) on the exciting trip! 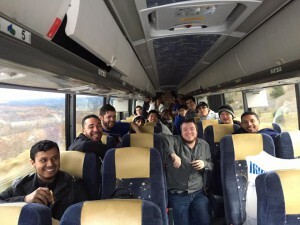 The UMass Lowell Hackletes left Lowell, MA at 5:30am on November 5 and arrived to Binghamton just for the start of lunch, at 11:45am. 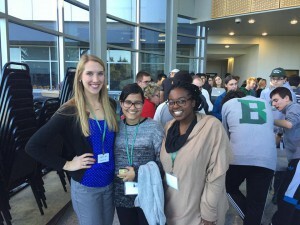 The team was welcomed by Juliette, Binghamton faculty and staff, and students from across the academic consortium. 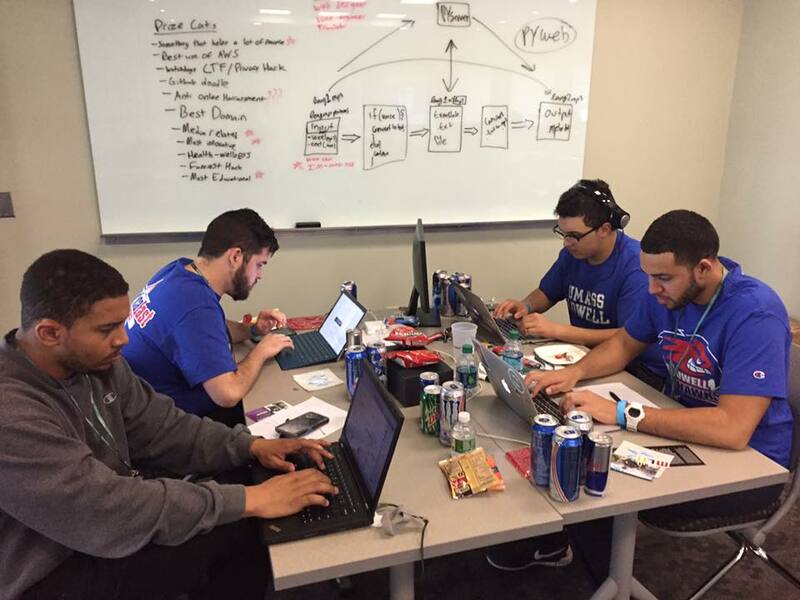 At 12:30pm, the Hackathon kicked-off with introductions from Major League Hacking (MLH), Juliette, and Binghamton staff. 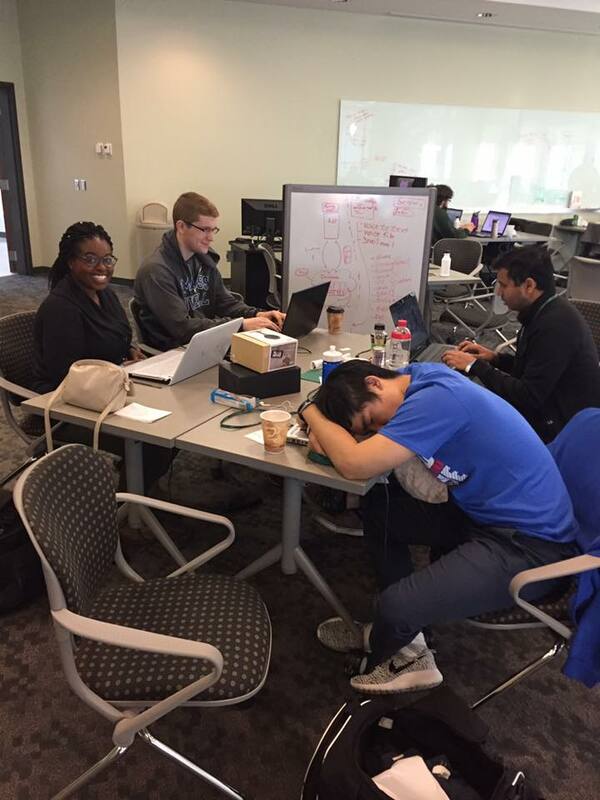 After welcoming remarks, the hacking began! 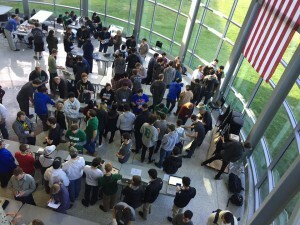 Students immediately ran into rooms, built teams, and began brainstorming ideas. 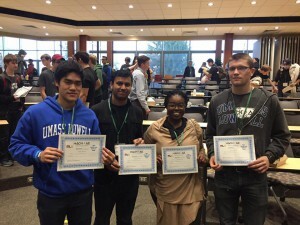 The 18 UMass Lowell students formed 5 teams, one being with 3 Binghamton students, which was great! Holly helped the teams brainstorm ideas, using the DifferenceMaker method: Problem, Opportunity, Solution, and Resources. After several hours, the teams had ideas and began hacking…all night long! The excitement and enthusiasm throughout the night was incredible. 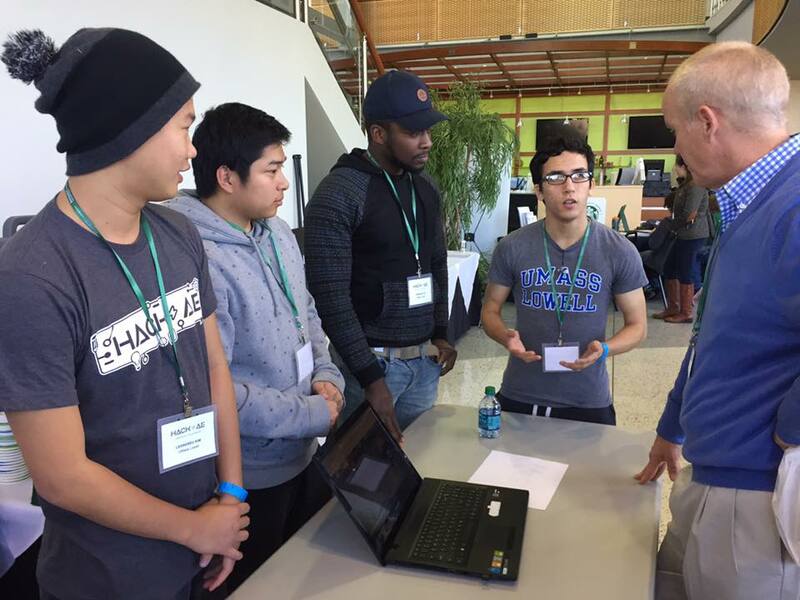 24 hours later, at 1:30pm on November 6th, the projects were submitted, and the judges began scoring the teams. All of the student teams, from across various AE Universities, had innovative ideas that they were passionate about. 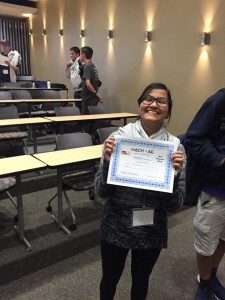 After being judged, the awards were announced. 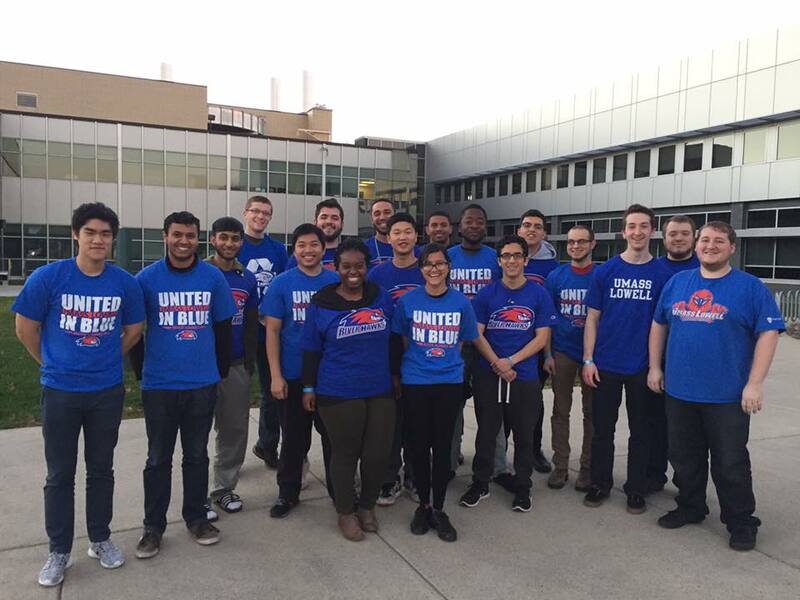 It was an exciting moment for UMass Lowell! 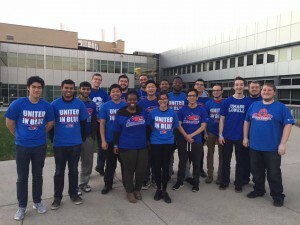 Two teams won in two categories! Project Description: An application that connects helping volunteers to those who may be in trouble or need help. Project Description: Research proves loneliness leads to depression. Generation 2U solves this problem by connecting baby boomers & millennials through a website and phone application network. 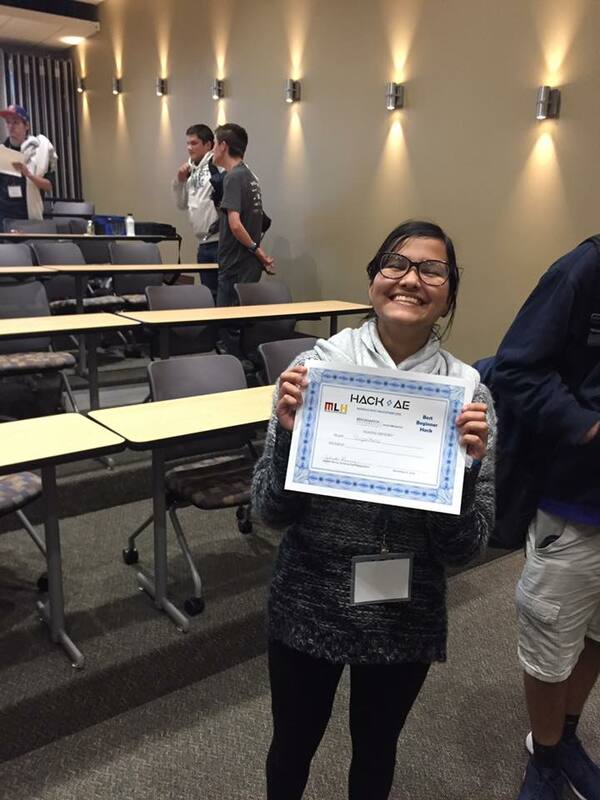 This was an exciting event that brought together various schools and students. UMass Lowell was happy to be a part of it, and all teams learned from the experience. UMass Lowell looks forward to future AE Hackathons and events. 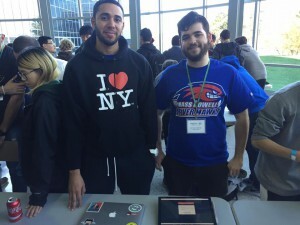 To view more photos, please visit the DifferenceMaker Facebook Page, American East Hackathon photo album. On October 25, 2016, students here at UMass Lowell had the chance to hear from 2013 Campus-Wide DifferenceMaker winner, Nonspec! Jonathan De Alderete and Erin Keaney of Nonspec spoke to students about their project and experience with the DifferenceMaker program. 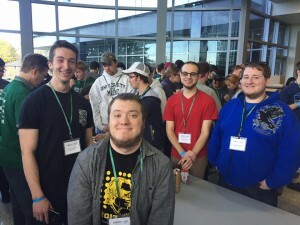 Nonspec was a part of the first ever DifferenceMaker Idea Challenge back in 2013 and have moved on to raise of $200,000 in their own funding after competing in the Idea Challenge. Having the opportunity to hear from a real-life DifferenceMaker team that has had true success even after the DifferenceMaker program is a great motivation to students and we hope even more students are motivated to pursue their ideas and truly make a difference! On Tuesday, October 18, DifferenceMaker staff Holly Butler and Ha Pho met with students in O’Leary 103 for lunch! Students were able to speak with Holly and Ha to learn more about the DifferenceMaker program as a whole and dive into questions they may have had about entrepreneurship, innovation, and critical thinking. Any students interested in becoming DifferenceMakers were able to learn more about the process and look forward to getting their teams together!